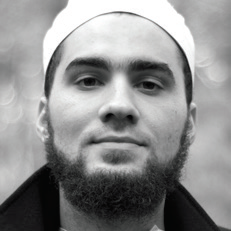 Ustadh Hasan was born in raised in Montreal, Canada. His pursuit of sacred Islamic knowledge has taken him to two continents to sit at the feet of those who still carry unbroken chains of sacred learning. During his stay in South Africa, Hasan focused primarily on Qur'anic Studies. He subsequently moved to Tarim, Yemen, to study at the prestigious seminary, Dar al-Mustafa. During his time in Tarim, Hasan was able to study a broad curriculum of Islamic sciences, benefitting directly from Habib Umar bin Hafiz, Habib Muhammad bin Abdullah al-Aydarus, Habib Hashim bn Aqil, Shaykh Umar bin Husayn al-Khatib and others. He returned from Tarim in 2015 to take up a teaching post at al-Maqasid.